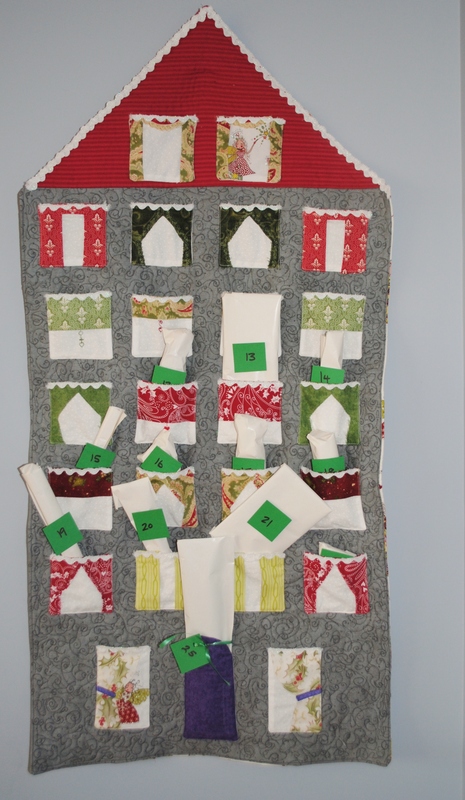 I might have mentioned before that I was working on an advent calendar for my daughter. I saw this calendar in the Pottery Barn catalog and decided to make my own. I am extremely happy to report that I finished mine by December 1st and my daughter has been enjoying opening a present every day. I look forward to a new tradition. 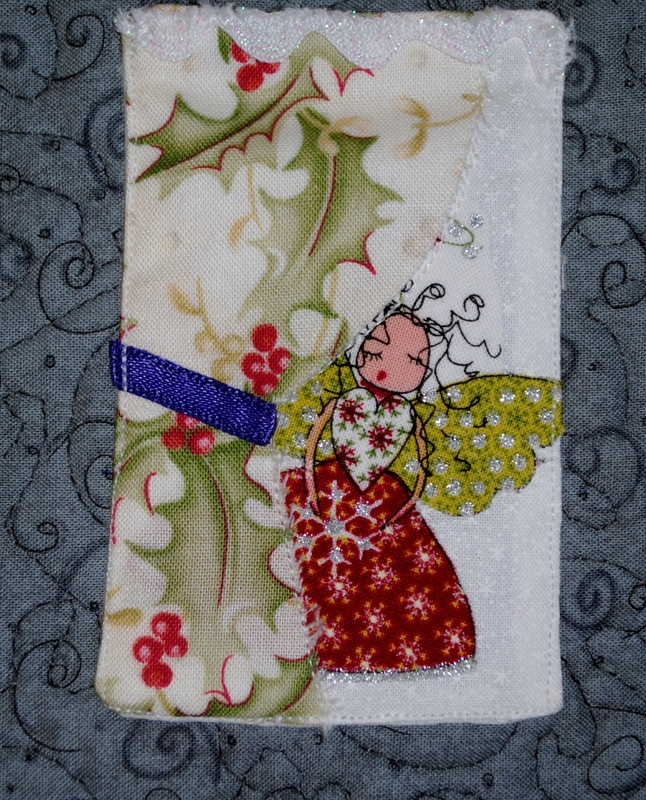 The backing fabric is this great Christmas fairy fabric that I had in my stash. I couldn’t resist putting a few fairies in the windows. Merry Christmas!